This family was estab. 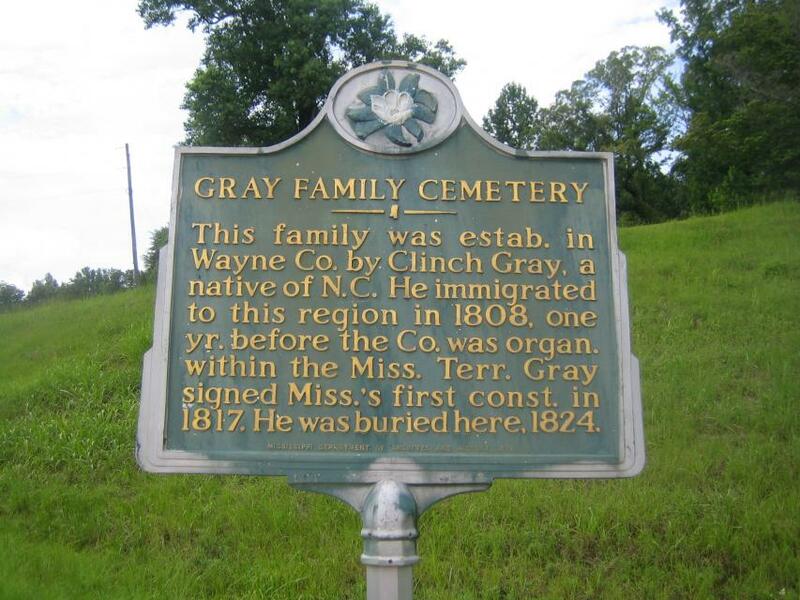 in Wayne County by Clinch Gray, a native of North Carolina. He immigrated to this region in 1808, one yr. before the Co. was organ. within the Mississippi Terr. Gray signed Miss. 's first const. in 1817. He was buried here, 1824. This marker can also be identified by its HM code. You can use the hashtag #HM1IUX in tweets, and any other place where you might refer to this marker, including when searching on this site.